- Inner Harbor 9.9 Ounce Outdoor Full Zip Jacket. - Durable full zipper with two front zipper pockets and elastic sleeve cuffs and waistband. 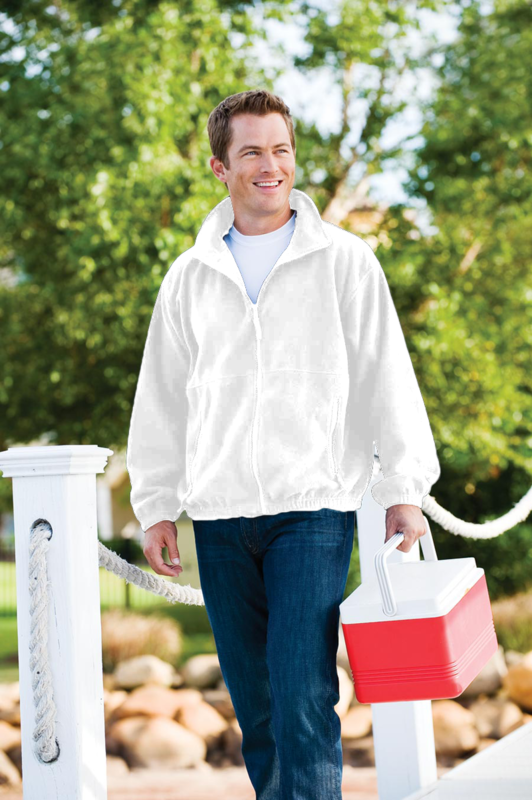 Inner Harbor 9.9 Ounce Polar Fleece Outdoor Full Zip Jacket. 100% polyester anti-pill fleece 9.9 oz. Durable full zipper with two front zipper pockets and elastic sleeve cuffs and waistband. Style ships from Pageland, SC. DISCONTINUED. Limited quantities available.